How Do Cats Survive Massive Falls? Everyone knows that cats can somehow survive falling out of a tree, but last week a cat survived a 19-story fall in Boston. So just how the hell did it manage it? Science, as usual, can help explain: it's mostly anatomy. But sadly, there is a lack of empirical evidence—scientists seem reluctant to throw cats out of windows in pursuit of their studies—but there has been plenty of research into way they fall. In comparison to most mammals, they have a large surface area for their weight, which means their terminal velocity is low. 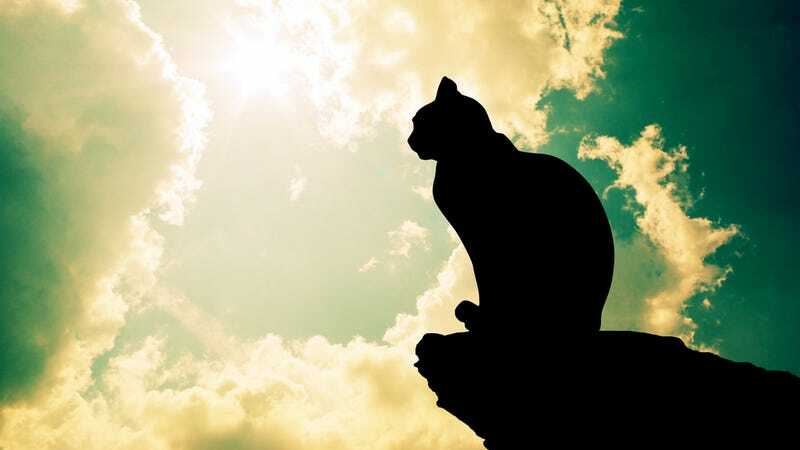 In fact, according to a 1987 study by veterinarians Wayne Whitney and Cheryl Mehlhaff, an average-sized cat with its limbs extended achieves a terminal velocity of about 60mph, while an average-sized man reaches a terminal velocity of about 120mph. The result? When a cat hits the ground, it's subjected to smaller forces and suffers fewer injuries. But there's more. Cats have also evolved a keen sense for knowing which way is up. Weirdly, given a big enough fall, that means that they're capable of righting themselves in mid-air by spinning their tails, to ensure they land feet-first. "Everything that lives in trees has what we call an aerial righting reflex," explains Robert Dudley, a biologist at the animal flight laboratory at the University of California, Berkeley, to the BBC. Finally, when they do hit the ground, they have legs designed to soak up the impact. "Cats have long, compliant legs," explains Jim Usherwood of the structure and motion lab at the Royal Veterinary College, again to the BBC. "They've got decent muscles. In that they're able to jump quite well, the same muscles divert energy into decelerating rather than breaking bones." And by stretching out the duration of the impact, the forces transmitted through their bodies are once again greatly reduced.